Camp Penuel Ministries "Providing Totally Free Christian Camping to Inner-City and Disadvantaged Children Since 1974!" 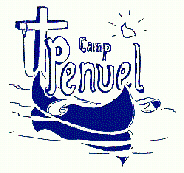 Camp Penuel is a Christian camping ministry founded by Rev. Harry H. Douma in 1973. Now there are a total of three campuses: The first Camp Penuel in Ironton, MO, also Camp Penuel East in Eldred Pennsylvania They are all totally free non-denominational Christian camps for inner-city, underpriveledged, and abused children, ages 7-11, from the surrounding areas. Camp Penuel is in its 27th year of operation, and hosts over 3,000 youngsters every summer. From its first session in 1974 Camp Penuel Ministries has had over 37,000 free campers and counting! Every Camp Penuel is run completely on donations! Camp Penuel in Ironton works with several different churches and organizations in St. Louis, Memphis, Chicago, Kansas City, and several other communities. To give a tax-deductible gift to this worthy cause, or for more information call or write to the above address. You are visitor number to the Camp Penuel Homepage! !